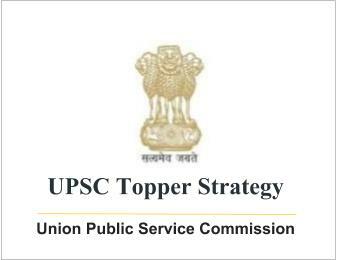 UPSC Topper Strategy for GS Prelims by Anay | IAS EXAM PORTAL - India's Largest Community for UPSC Exam Aspirants. Also, there are many books I have mentioned and others that I have left out. If you have read some other book on the topic, consider it as good as the book I have listed. It is all about choosing one book for a topic and making yourself comfortable with that book. Any one magazine of your choice (I read the Civil Services Chronicle). GS Prelims requires a very wide knowledge base. You need to have some idea about almost everything which has been prescribed in the syllabus to be sure of cracking it. The difficulty level of the paper is such that it is almost impossible to know each and every answer. Therefore, intelligent guessing plays a crucial role. Since it’s a recognition exam where one of the choices has to be selected, extensive reading gives a very good probability of knowing something related to the question asked and hence attempting it. I always made notes. My aim was to reduce any book I read to almost 1/10th of its size. How you make notes, mark important lines in the book itself, etc depends entirely on what suits you best. I began my preparation for the Civil Services exam in January 2007 and Spectrum was my base book. NCERT books are considered by many to be very good for base knowledge but I didn’t go through them. If you have already started with NCERT books, do not worry. You can consider them as your base books and Spectrum can be your reference book. Spectrum is divided into various sections. I went through the Geography, History, Polity, Indian National Movement, Economy and Science & Technology sections only. I made notes from it and must have revised them about 4 times before I took the prelims in 2007. Thereafter, I revised them twice before the prelims in 2008 and 2009. I left out General Mental Ability as the questions asked in the Prelims were very easy according to me and hence no preparation was required. But for those who are not comfortable with GMA questions such as those on probability, speed and distance, numbers, etc. kindly do not leave them out. Every year at least 15 questions are asked and answering them can ensure your selection for the Mains. A good book for basic mathematics that I came across long back and which I think is good for CSE prelims’ maths is Quantitative Aptitude by RS Agarwal. So if you are not comfortable with GMA, kindly refer this book. India Year Book (Min of I & B) is absolutely necessary for the CSE. There were a large number of questions asked directly from it in the Prelims in 2007, 08 and 09. Even though there might not have been many questions asked from it in 2010 (as I am told), yet it is the best book for information on India and government schemes. I read all the chapters except the one on States and UTs. DD Basu’s Constitutional Law of India should be read after you have gone through the Indian Polity section in Spectrum. There is no need to mug up the Articles verbatim. What is required is remembering the outline of each Article and concentrating on the important ones such as those on FRs, election of the President, etc. I knew around 400 of the 440 or so Articles in the Constitution. It can be used in other papers such as the essay, public administration, sociology, etc. in the Mains as well. Easy way of doing it is to read 20 Articles at a time and trying to remember them by writing them on a paper till you can readily do so without looking in the book. Also, from Article 72 onwards just add 89 to get the corresponding Article at the State level and add 90 from Article 112 onwards (as Art 200 is extra). So around 50 Articles are automatically done. Bipin Chandra’s India’s Struggle for Independence is a very good book for the mains. But most of the questions asked from History in the Prelims are from the post 1857 period (Modern History). So if you have time, go through this book. I read the Civil Services Chronicle regularly since February 2007. There are many other magazines such as Pratiyogita Darpan, Wizard, Civil Service Times, Kurukshetra, etc. You should read only 1 magazine, whichever it may be.